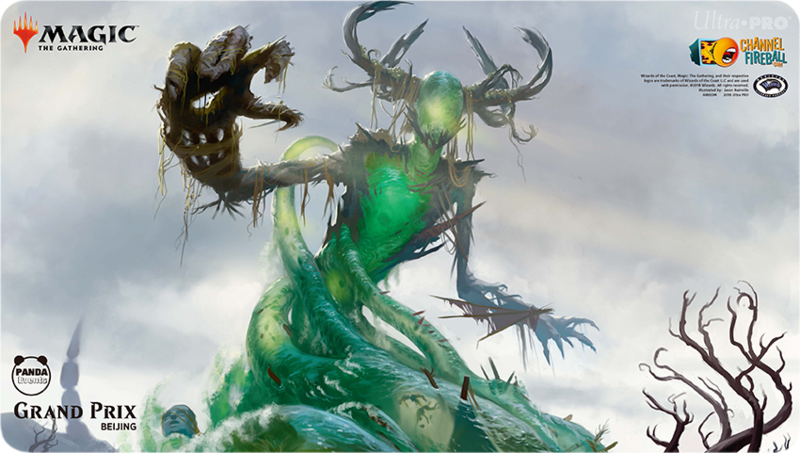 You've seen Dominaria previews. 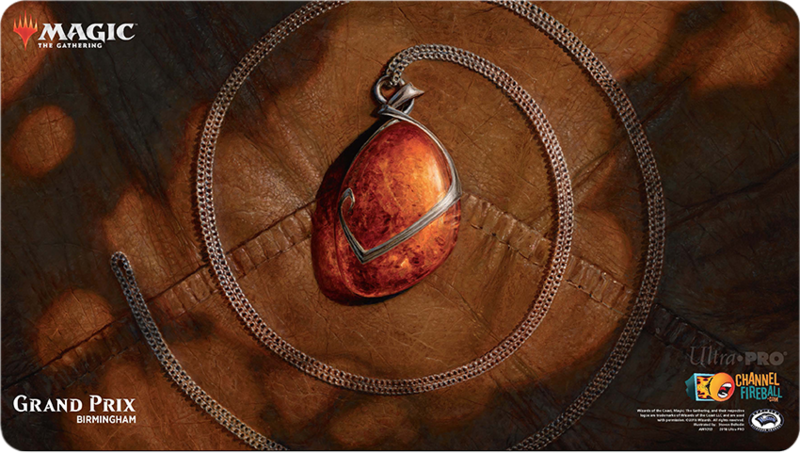 You've seen some amazing art, astounding Sagas, and awe-inspiring lore dripping from the set. 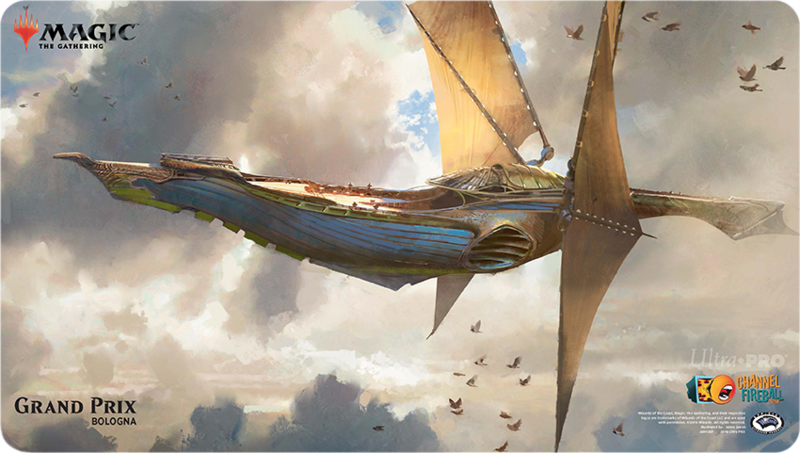 And today, we're going to highlight all the playmats you'll see featuring Dominaria for the next couple of weeks at Grand Prix and the Pro Tour! 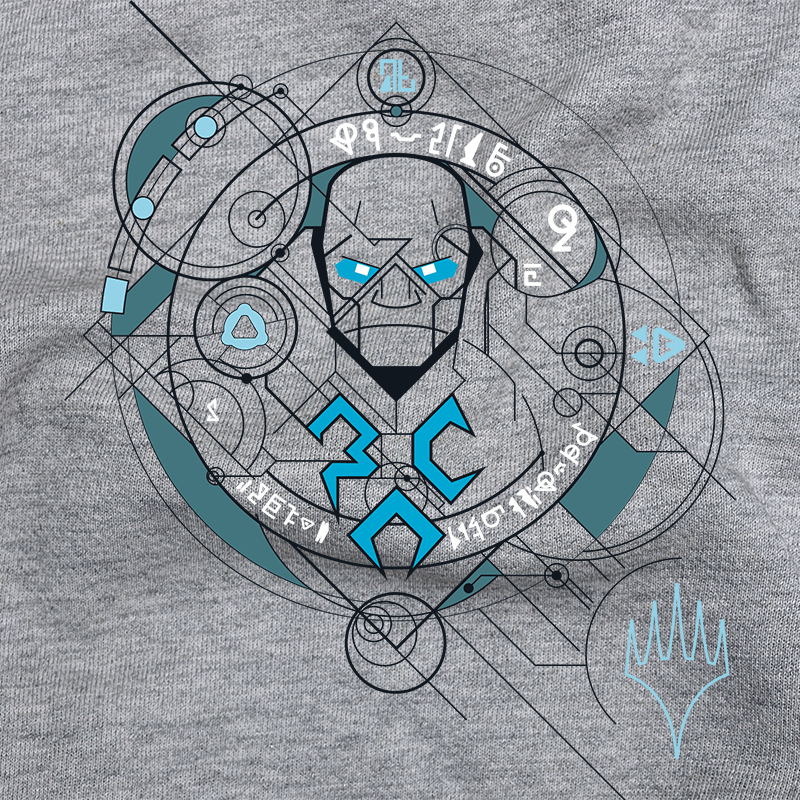 As with all new set releases, the Grand Prix prize walls will feature a new T-shirt themed to Dominaria. This one will feature some sweet new art on a heather gray shirt. Here's a little sample of what that design is! Neat, huh? If you're looking to pick up a shirt, hit up one of the Grand Prix listed on that design and redeem tickets for the shirt on the prize wall! 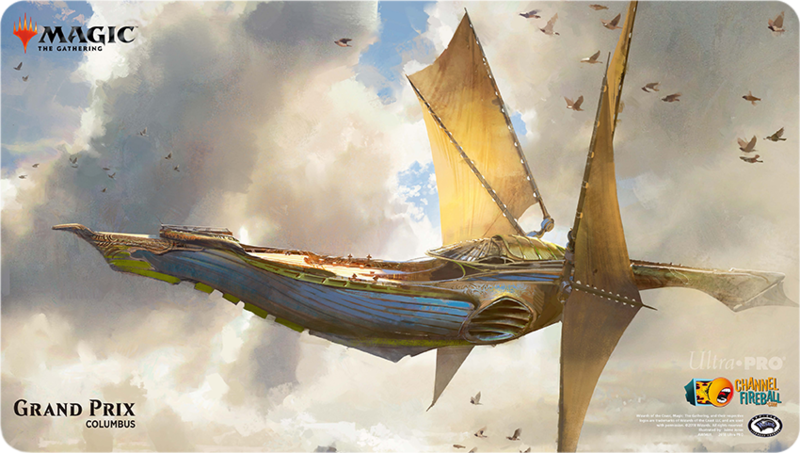 The first Grand Prix weekend to feature Dominaria doesn't showcase one playmat, but three! 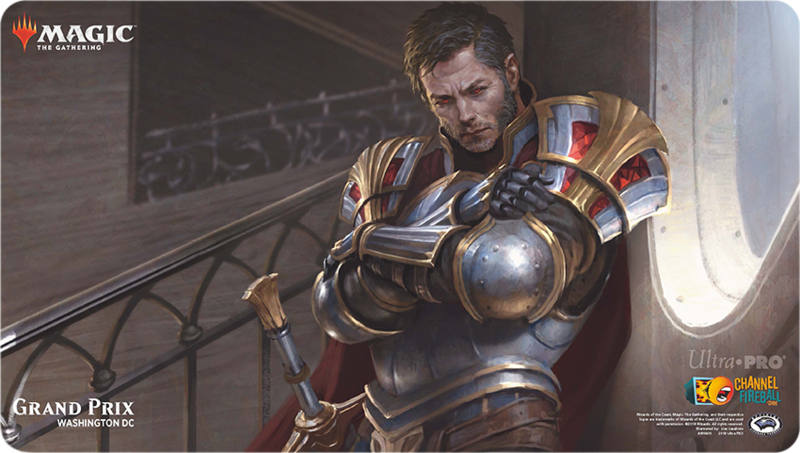 Grand Prix Bologna and Columbus are Team Limited events during Dominaria Release Weekend (April 27–29), and as such, both feature three different playmats teams can acquire. 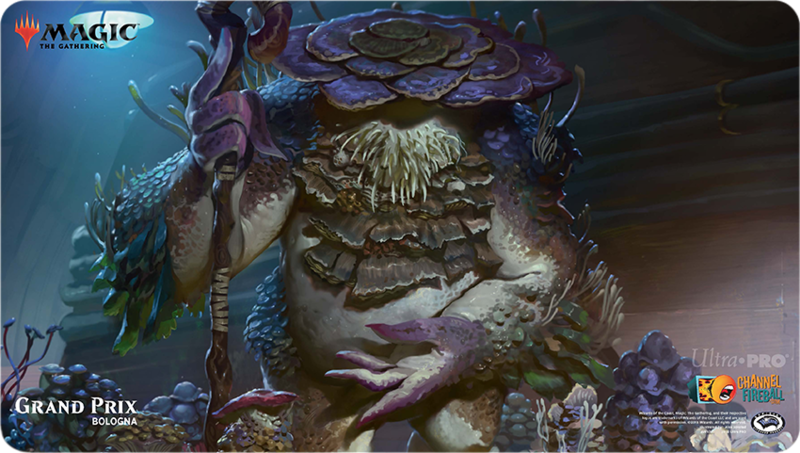 The playmats feature Slimefoot, the Stowaway (art by Alex Konstad); Tiana, Ship's Caretaker (art by Eric Deschamps); and Weatherlight (art by Jaime Jones). Following the Team Limited weekend are individual Limited GPs in Beijing and Dallas–Fort Worth. 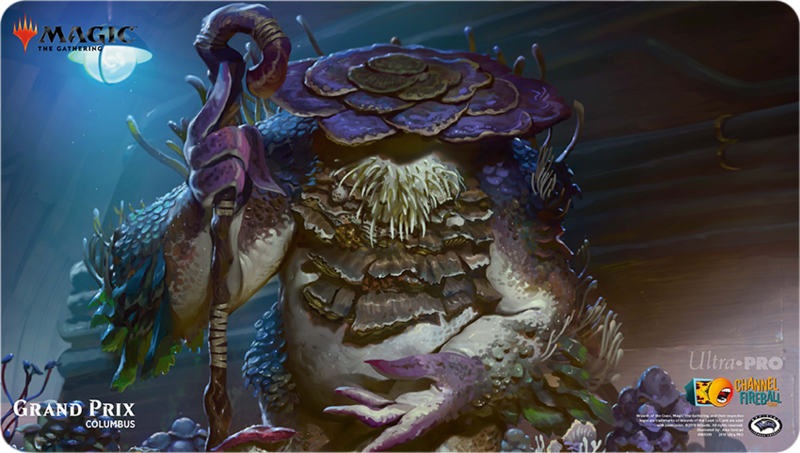 The legendary playmat theme continues into the weekend of May 4–6 with Muldrotha, the Gravetide as the flagship creature on this weekend's swag (art by Jason Rainville). 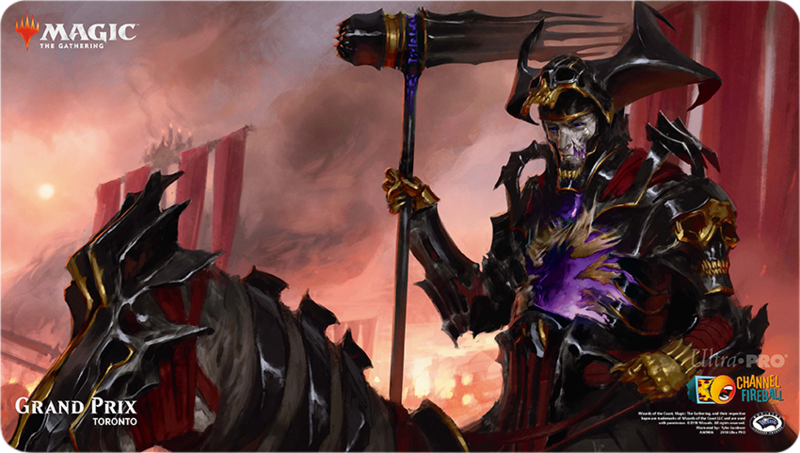 The weekend of May 10–13 is the second of five double-main-event Grand Prix weekends. 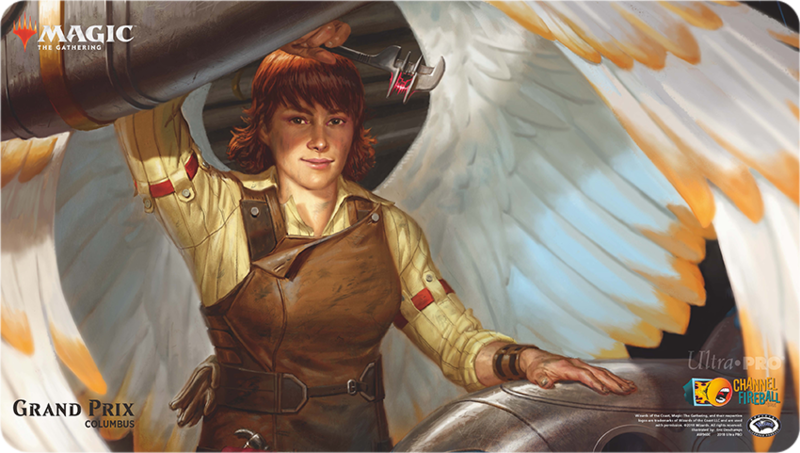 Birmingham's Legacy main event features the beautiful callback to the power of 1993 with Mox Amber (art by Steven Belledin), while the Standard main event showcases Blackblade Reforged (art by Chris Rahn). 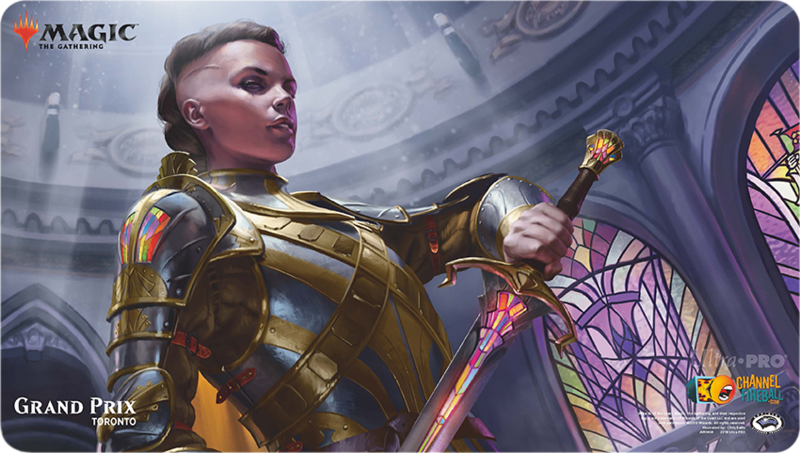 Playmats aside, this is sure to be an exciting weekend, with three days of video coverage and a lot to do in Birmingham for four days! 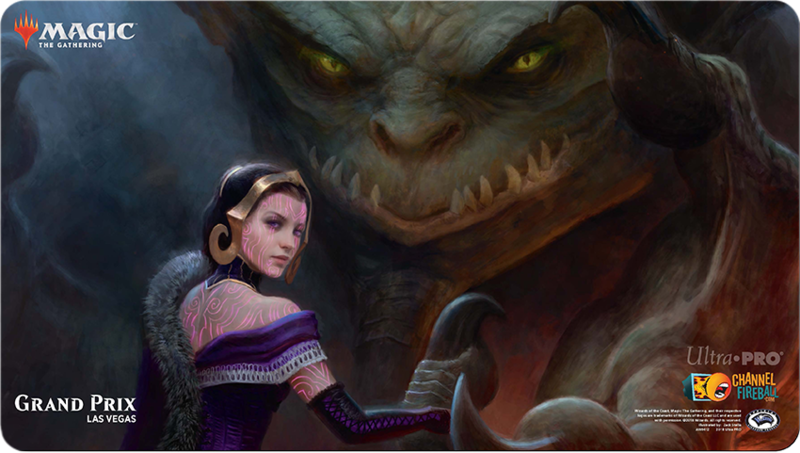 The weekend of May 18–20 is Grand Prix Toronto, a Team Trios Constructed event featuring three playmats that showcase Esper colors in Danitha Capashen, Paragon (art by Chris Rallis), Tetsuko Umezawa, Fugitive (art by Randy Vargas), and Josu Vess, Lich Knight (art by Tyler Jacobson). 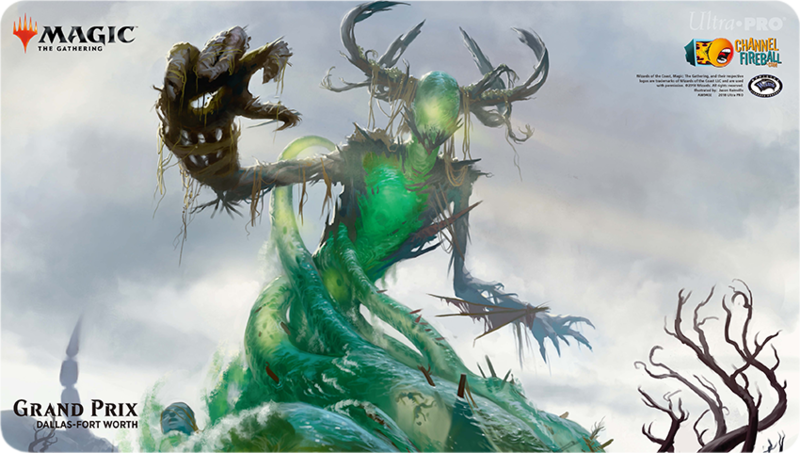 The Grand Prix in Washington, DC, the weekend of May 25–27 will be the last team Grand Prix this year that qualifies players for Pro Tour 25th Anniversary in August (which, if you haven't seen, is kind of a big deal). 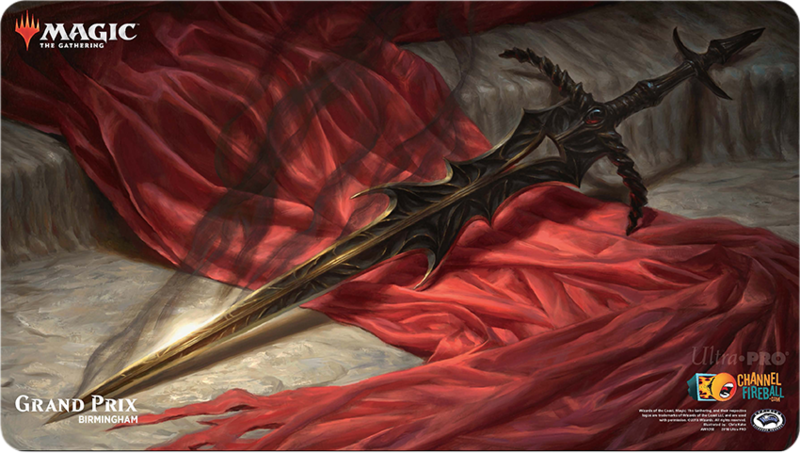 This Team Limited main event will, in teams fashion, feature three distinct playmats. 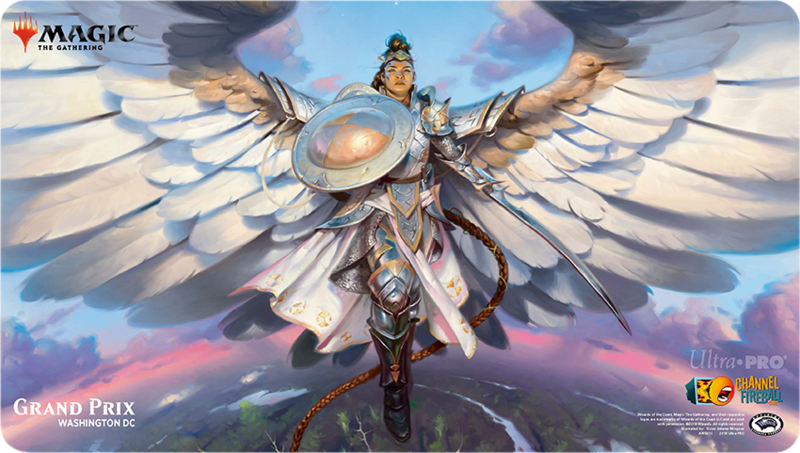 The trio of mats teams will find at DC feature Niambi, Faithful Healer (art by Greg Opalinski), Arvad the Cursed (art by Lius Lasahido), and Shalai, Voice of Plenty (art by Victor Adame Minguez). 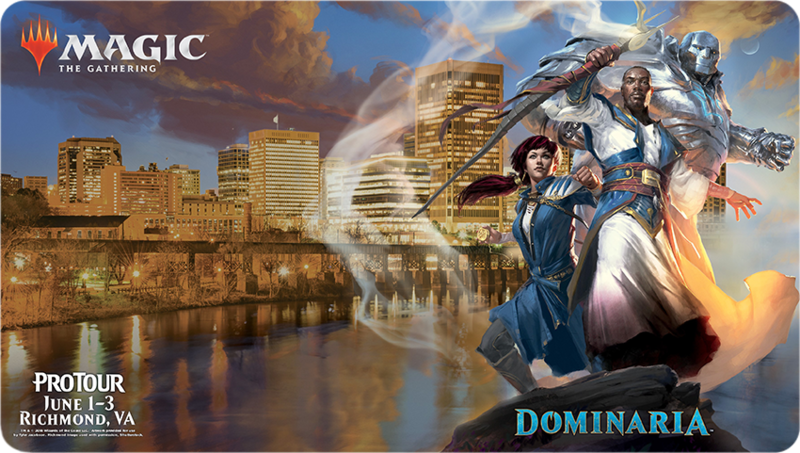 While the GPs take a week off for the Pro Tour, folks traveling to Richmond, Virginia, to compete or check out the Pro Tour will be able to pick up this event-exclusive playmat while supplies last at the merch booth. 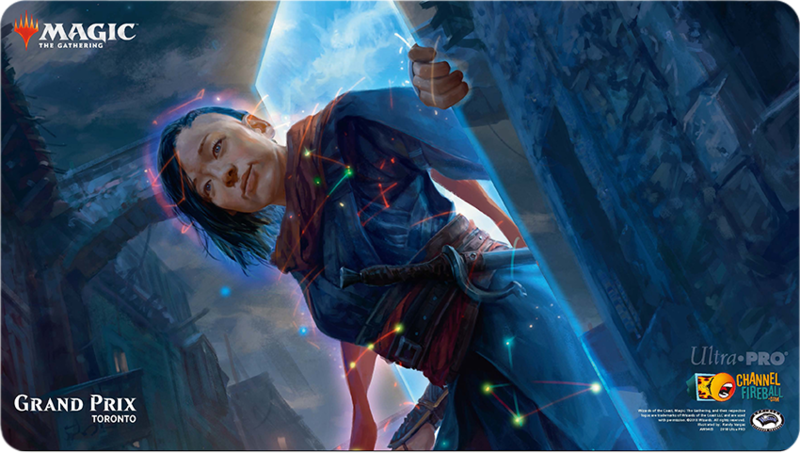 As always, these playmats are unique, extremely limited, and a cool pickup as a memento of your Pro Tour experience! The Grand Prix circuit makes a Standard stop in Copenhagen, Denmark, June 8–10, and folks coming to this one will have a chance to pick up a playmat featuring the Angel of Angels, Lyra Dawnbringer (art by Chris Rahn). 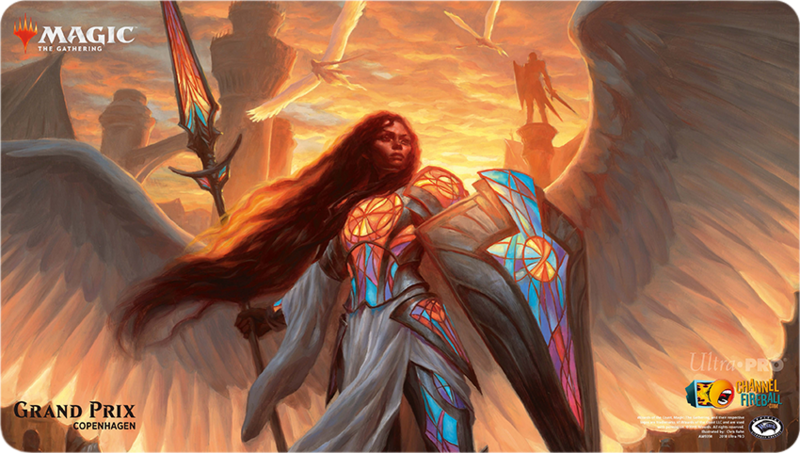 Just look at all that stained-glass glory! Grand Prix Las Vegas will be home to more than just some sweet birthday parties the weekend of June 14–17. 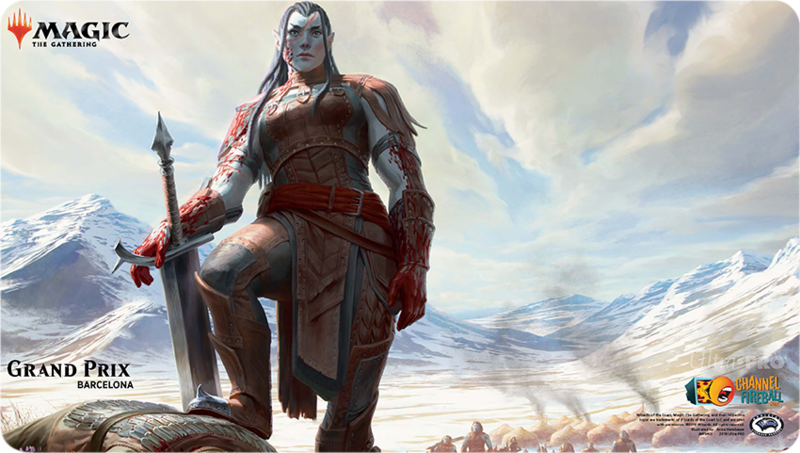 It'll also be the home to two main events featuring Modern June 15–16 and Limited June 16–17. 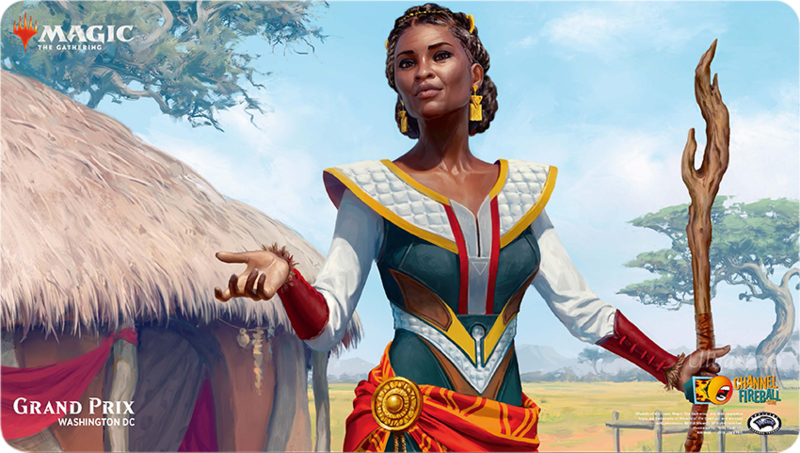 The Modern and Limited GPs bring with them two distinct playmats that attendees can get, featuring Shanna, Sisay's Legacy (art by Magali Villeneuve) and In Bolas's Clutches (art by Zack Stella). 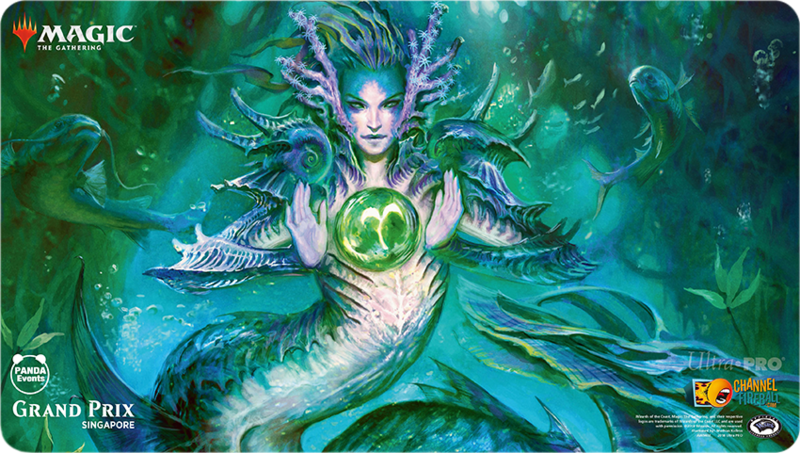 The Grand Prix taking place June 22–24 in Singapore and Pittsburgh will feature a Merfolk-focused playmat, with a centerpiece of Tatyova, Benthic Druid (art by Mathias Kollros). 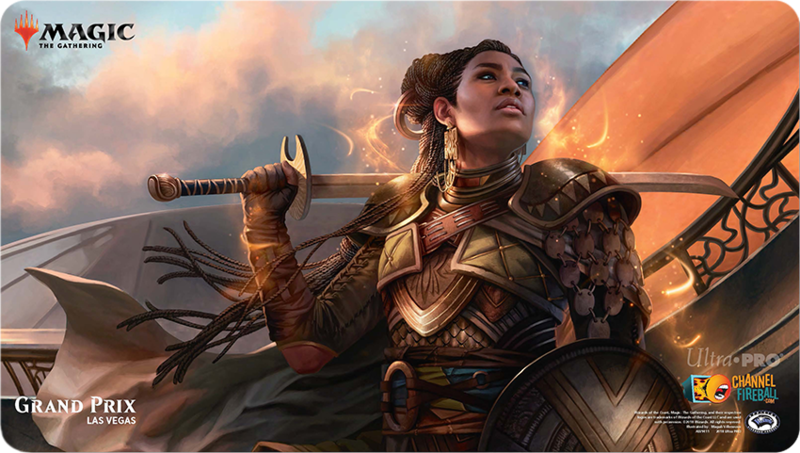 And finally, before we head into Core Set 2019 land, Grand Prix Barcelona will take place June 29–July 1 and will wrap up our Dominaria playmat bonanza with Grand Warlord Radha (art by Anna Steinbauer). 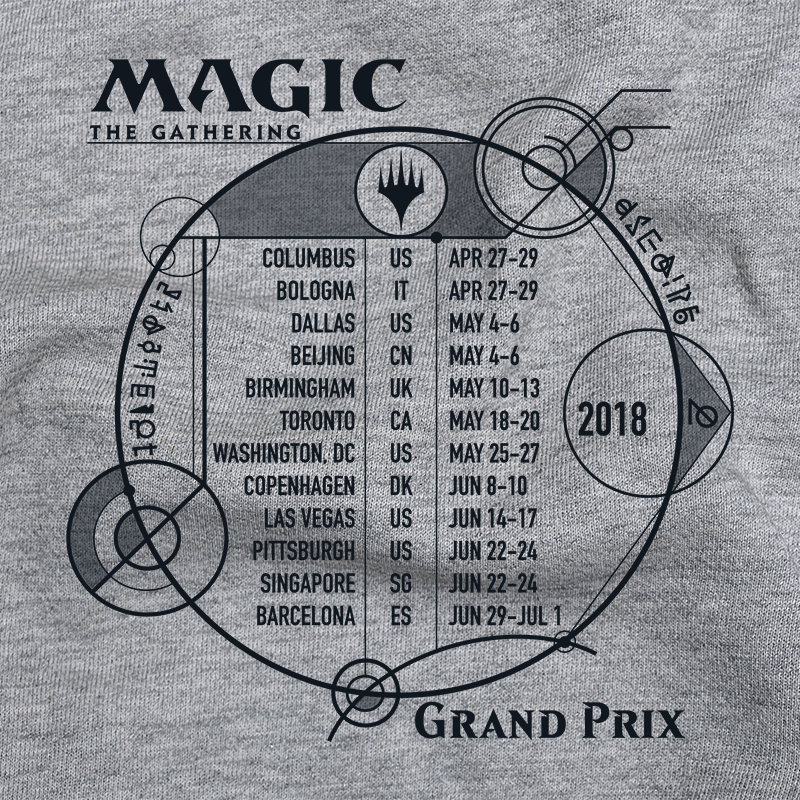 We've got a lot of opportunities for you to play Magic with hundreds—if not thousands—of your past, present, and future friends, so check out a Grand Prix near you, pick up some playmat souvenirs to commemorate your trip, and maybe we'll see you at a Grand Prix or Pro Tour very soon!